PHASEIN’s many years of experience and expertise in gas analysis has led to development of the world’s first self-contained CO2 monitor. EMMA Capnometer is developed to provide clinicians access to capnometry in a totally portable and compact design. Bulky equipment and cable connections are no longer required to confirm and control intubation, ventilation and CPR. 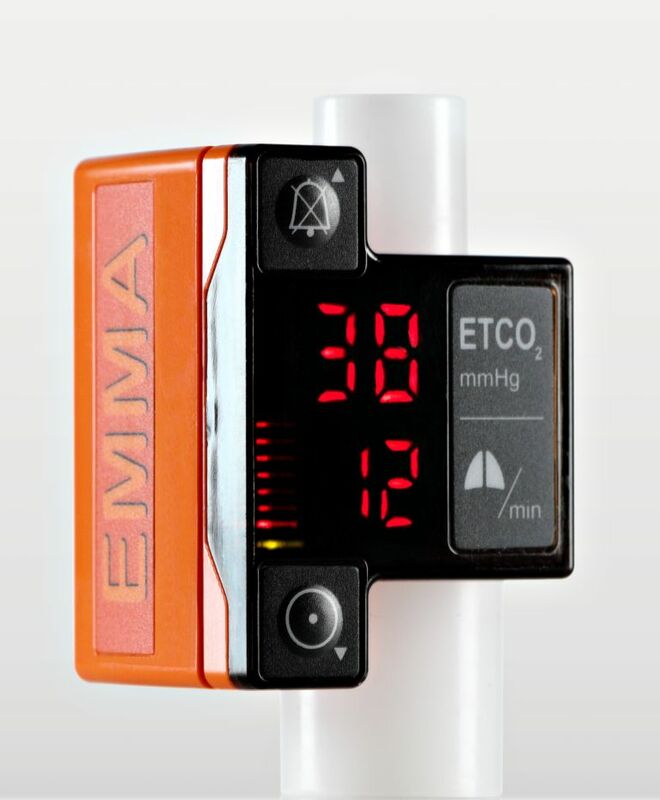 With its small compact size and rugged design, EMMA enables monitoring of a patient’s end tidal CO2 and respiratory rate in a wide range of clinical applications.